WageDayAdvance were part of CURO Financial Technologies Corp, an international provider of financial products, including cash loans, across over 300 locations. Established in 2004, WageDayAdvance was one of the first payday loan companies in the UK. Headquartered in Leeds, it employed over 150 staff and used to offer both short-term and instalment loans of up to £1000 before it went into administration on 25 February 2019. What was the duration of a WageDayAdvance loan? WageDayAdvance offer two types of loan. The WageDayAdvance loan is a short-term loan for a minimum of 21 days for a duration of between one and three months. You decide the loan term that works for you, allowing you enough time to comfortably make your repayments. If you borrow for one month and want to extend your loan beyond the agreed duration then you may defer payment for one month, paying only the interest on the original due date. The following month you will be required to repay your loan in full, including the original amount borrowed and remaining interest charges. This means that your final repayment will be higher than your previous one. If you wish to borrow a larger amount over a longer period and spread the repayments equally, then the Advance Plus loan offers a minimum duration of 21 days and a duration of four, five or six months. 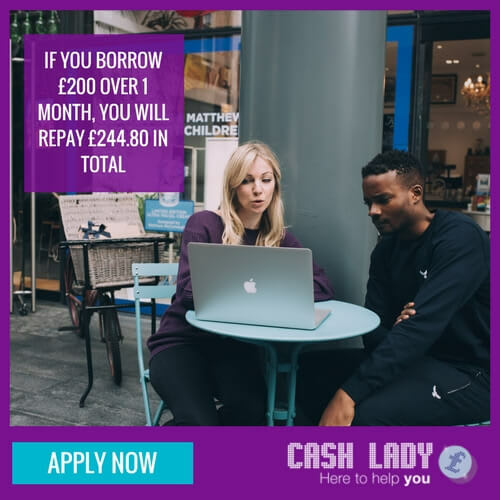 New customers can borrow from £80- £500, while existing customers may be invited to apply for up to £1000 depending on affordability and your credit history. What is WageDayAdvance’s loan application process? Applying for a loan from WageDayAdvance begins with a simple online application form, where you enter the amount that you wish to borrow, your preferred loan duration and personal and financial information. The lender then performs affordability checks and will contact you to inform you of their decision. In some cases, they may ask you to supply further documentation to finalise the process. If your loan application has been approved you will receive a text message with the estimated time that the funds will hit your bank account. To apply for a loan with WageDayAdvance you will need your home address, information about your current employment, a mobile phone number and valid debit card details. As part of the credit agreement you must also be over 18 years of age, a UK resident and in employment. How quickly will I receive my loan from WageDayAdvance? Depending on when your loan is approved, you can expect the funds within your bank account within an hour of approval, via Faster Payments. Cash is transferred hourly Monday to Friday, from 9am until 8pm, with a final payment made at 11:55pm. On a Saturday, they transfer hourly between 10am until 4pm with a final payment at 11:55pm. On a Sunday they transfer funds between 11am until 4pm with a final payment at 11:55pm. 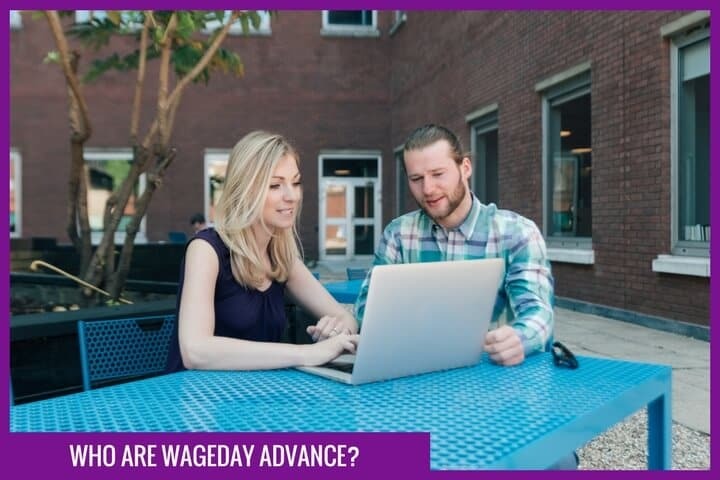 The WageDayAdvance loan has a daily charge of 0.8% on the amount borrowed per day, while the Advance Plus loan has a daily interest charge of 0.79%. £400 over 4 months the total repayable is £619.61, 4 monthly instalments of £154.90. Total charge for credit £219.61. £400 over 5 months the total repayable is £677.71, 5 monthly instalments of £135.54. Total charge for credit £277.71. £400 over 6 months the total repayable is £738.66, 6 monthly instalments of £123.10. Total charge for credit £338.66. Repaying your loan early will reduce the total interest charged on the amount that you borrow. There is a charge of £15 if you fall behind with repayments on your WageDayAdvance loan, which will be applied only once. There are no hidden fees or other charges. With the Advance Plus loan, there are no charges whatsoever so you will only ever repay the amount agreed at the point of taking out the loan, even if you make a late repayment. Can I repay my WageDayAdvance loan early? 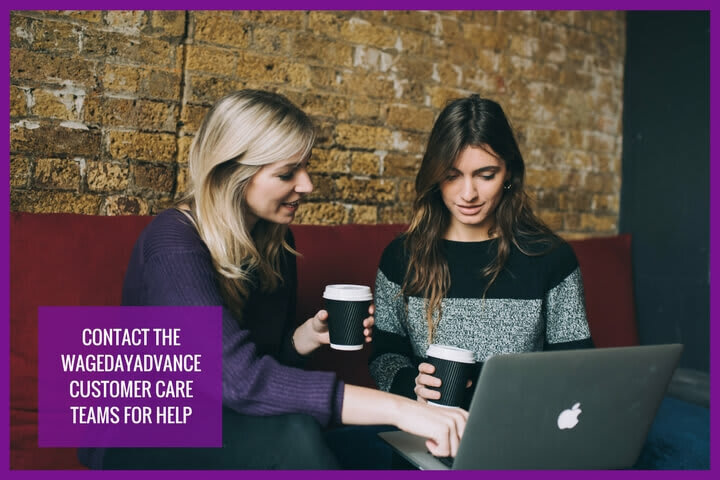 WageDayAdvance encourage you to repay your loan early, if you can, by calling their customer care team anytime on 0333 006 2000. If you chose to settle your loan before the 21 days minimum loan term then you can repay early in full, although you will still be charged 21 days of daily interest. 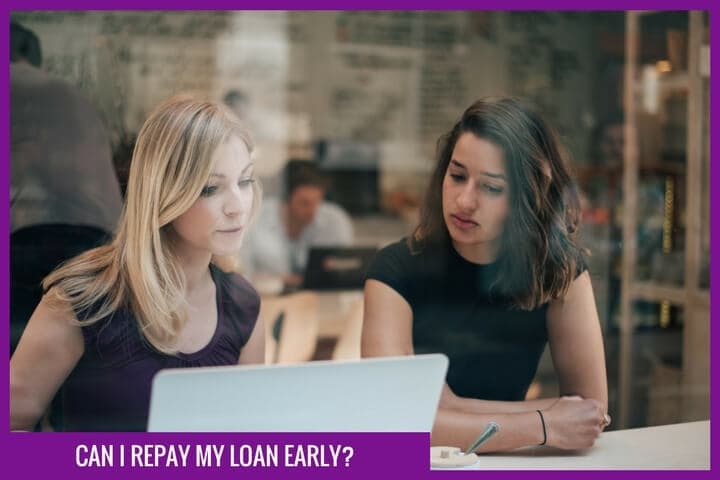 Early repayment reduces the daily interest charges and therefore the overall interest that you pay back on top of the original amount borrowed. Will WageDayAdvance run a credit check? As a responsible lender WageDayAdvance will run a credit check as part of your application process. They use two of the main credit reference agencies, Equifax and Call Credit to review your credit file and monitor your score. What help and support do WageDayAdvance offer? You can contact WageDayAdvance customer care teams, based in Leeds and Nottingham, by telephone, post or email. They are available between 8am and 8pm Monday - Friday, Saturday between 9am-5pm and Sunday from 10am -4pm. Where can you find online reviews of WageDayAdvance? WageDayAdvance reports that 83% of their customers are highly satisfied. To read a selection of customer reviews log onto Feefo, which is an online platform, providing over 9500 reviews from genuine WageDayAdvance customers. What are WageDayAdvance’s FCA registration details? WageDayAdvance are authorised and regulated by the Financial Conduct Authority. Authorisation can be checked on the Financial Service Register. 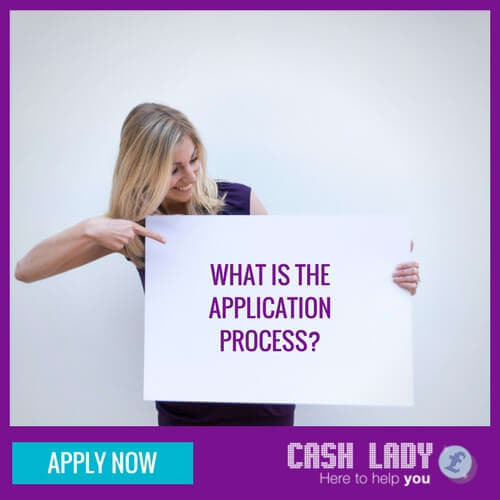 Applying for a loan from WageDayAdvance through Cashlady provides access to a selection of short-term loan quotes from WageDayAdvance, alongside other suitable lenders, ensuring that you settle on the finance solution that is best for you. Our deep industry knowledge combined with network of trusted loan providers, allows us to deliver an overall view of the loans that are currently on offer. We show you rates and prices, repayment terms and other vital details that will help you to compare loan options, without having to scour the internet or high street for the best deals yourself.